St. John the Baptist is proud to present KTK Productions’ rendition of “Farce of Habit,” in the gym on March 8, 9, 10, 15, 16 and 17th. Friday and Saturday performances begin at 7:30pm, while Sunday performances begin at 2pm. Senior tickets are $18 and Adult tickets are $21. Call 314-351-8984 to purchase advance tickets and guarantee your reservations. This absurdly funny Southern-fried romp takes us back to the Reel ‘Em Inn fishing lodge where this bizarre family guides you through a new series of preposterous events in “Farce of Habit”. Add to the original characters a gaggle of nuns on retreat, a nationally known relationship guru, a shy retiree and a couple of women who may (or may not be) who they claim to be. Throw in an approaching “storm of the century” and the fact that there is an axe murderer on the loose and you will be laughing your way through the lunacy of another Jones, Hope and Wooten comedy. This is one habit you’ll never want to break! 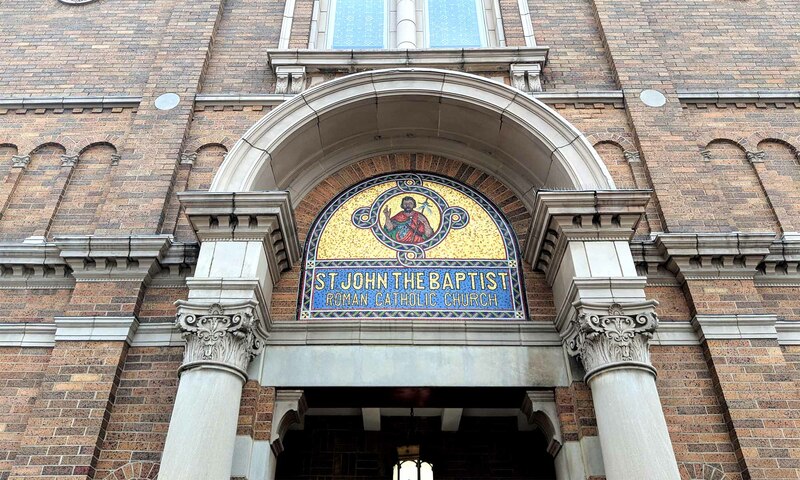 As you have probably noticed, St. John the Baptist has a new website… and you’re looking at it! We are very excited not only about the fresh, new look, but also about all of the new possibilities for communication within the parish family and beyond. We are working diligently to learn and develop all of the new capabilities available to us, and we hope you understand that this project is a work in progress. If there is ever any confusion about the information on this site during the initial phases of development, please do not hesitate to contact us at the rectory for clarification. The new events calendar is our primary area of concern at this time. If you are interested in an event you see listed, it may be best to call for confirmation of the start time during the first week of March while we work on the upgrade. We look forward to all of the exciting new things ahead, and we’re glad you found us!